Genocide in Buddhist Myanmar – Engage! 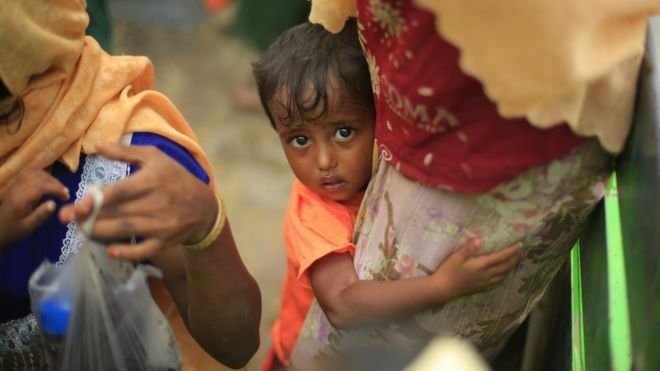 MSF (Doctors w/o Borders) estimates more than 6,700 Rohingya have been killed in Myanmar since August. 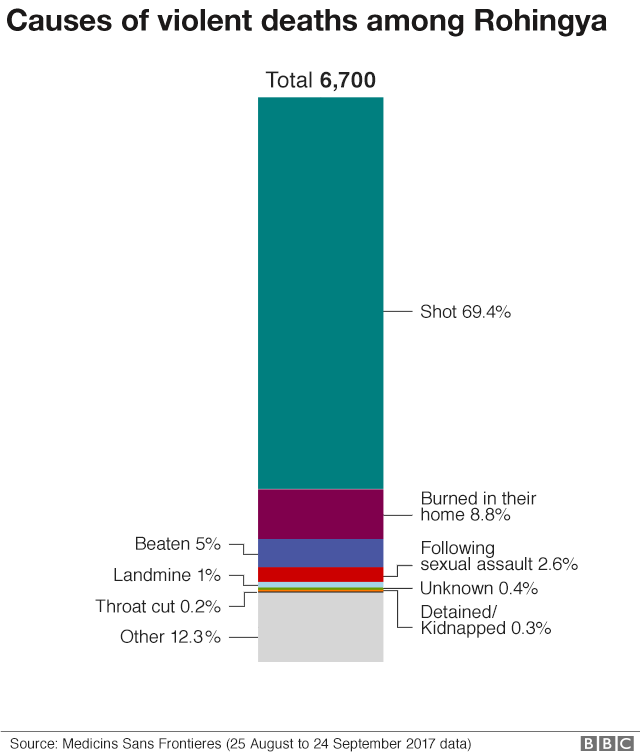 Is the refugee crisis ‘textbook ethnic cleansing’? What sparked the Rakhine violence? This is genocide, according to UN law, and Myanmar Buddhists share responsibility for the violence of the military in their own country. Regardless of ethnic history, there is no excuse for supporting a genocide in which Buddhists–as the privileged religious majority–benefit from the mass murder and forced expulsion of a religious minority. The doctor on the panel discussion (video below) shared reports that Buddhist monks are actually setting fire to Rohingya homes and throwing children into the fire. Jeanne Hallacy reports that women and young girls are being raped as a tactic of war. Another panelist reports that the forced expulsion of the Rohingya has happened four times in Myanmar’s modern history. There are costs for resistance, yes, but look at the power of the resistance movement against the Trump Regime in the US—we are pushing back against white supremacy and defeating a fascist regime. As you said, Jess: “Buddhists who once peacefully protested military rule during the Saffron Revolution are now siding with the very same military in oppressing and othering the Rohingya minority.” They resisted before, why aren’t they resisting now?This is a conscious choice to support violence and genocide. I know from working with PTSD that the violence you do to others only INTENSIFIES the trauma that you experience in yourself, whether that trauma is personal, familial or generational. ‘Hatred does not dispel hatred, but love alone dispels hatred.’ This wisdom is a prescription for healing trauma as much as it is a method for resolving ethnic conflict. At the very least, as Buddhists, the Burmese must condemn the violence and refuse to support the military regime. As the Dalai Lama said about monks who sexually exploit their students, if you point out their wrong-doing, you are actually helping them to follow an ethical Buddhist path.